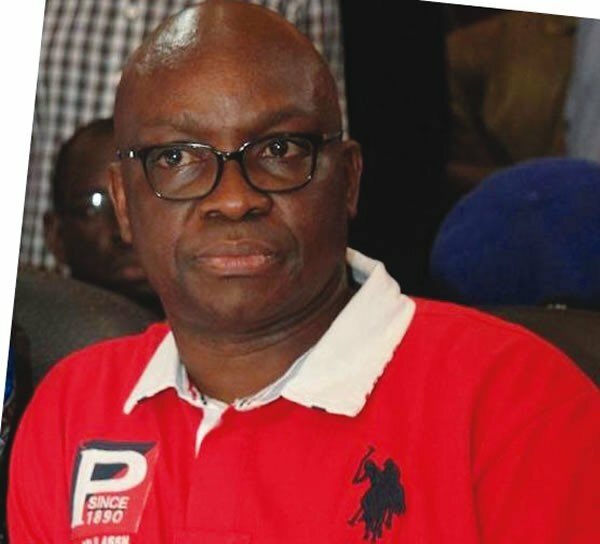 Former Governor of Ekiti State, Chief Segun Oni, has said the incumbent governor, Mr Ayodele Fayose was only engaging in comical relief by his call for President Muhammadu Buhari’s resignation over the fuel scarcity being experienced across the nation. Oni, who described Fayose’s diatribe as a misdirected attack, added that: “Is like someone calling for his (Fayose) resignation over the level of hunger in Ekiti , because the governor’s stomach infrastructure policy has failed to fill the stomachs of over 80 per cent of our people”. He warned that the All Progressives Congress (APC) may end up losing Ekiti in 2018 if a popular candidate is not positioned as a flagbearer . Oni urged the delegates not to mortgage their future by voting for the highest bidder at the primary, saying: “They shouldn’t turn profiteers because they have two options to make, which is either take money from politicians and get temporary relief or vote for the right candidate to win the general elections, so that the APC can control both the state and the federal for more dividends of democracy to come to ourmembers”. Speaking at the end of the year party organized for the APC members in Ifaki Ekiti on Wednesday, Oni appealed to Fayose to rather toe the path of honour and stop playing to the gallery on Buhari’s issues. “I want to believe that our governor didn’t mean what he said, he was just joking. “I know that the NNPC and the Ministry of Petroleum Resources are addressing this issue. It is a general problem and it is regrettable but the main problem causing this scarcity is hoarding. “Governor Fayose is operating stomach infrastructure, how would he feel if he is asked to resign on account that many people have not eaten from the rice being distributed under this policy. So, I see this as a mere joke”. He assured that what is paramount to Chief John Oyegun-led National Working Committee is how to get credible candidate that can win election in Ekiti, revealing that the party has no preference among the aspirants. Oni advised those he described as ‘weak aspirants’ to weigh the options and step down for a more formidable aspirant to streamline the number of those vying for the position to a manageable number. The former governor stated that the election won’t create enmity between him and Dr. Kayode Fayemi, who is being rumoured to be interested in the race. “What I expect from APC is free, fair and credible primary. The primary to any party, is to pick a candidate who can win election. That is why it is important for us to listen to what the people want, this should be our objective and not the profit the delegates will make. “Though, there is hunger in town but we must do the right thing. The highest bidder will bring his money, yes you can collect it and still go ahead and vote for a candidate that can win for us. “Ekiti election is very critical to APC. It is critical to our election in Osun State and the two elections are critical to 2019, because we have to win again. I want to say that I won’t leave the party even if I am not picked as a loyal party man. “Let me say this, the PDP that is boasting now will spend more years as an opposition than they rule Nigeria. But if they win in Ekiti or Osun, they will have opportunity to begin to brag that the APC is no longer a popular candidate”, he said.